Crafting Adventures: All Sunny & Cheerful! Hi all, hope you've been enjoying this amazing weather as much as me! We've spent loads of time in the garden this weekend and it looks fab. Just 3 more days of work and I get to spend a week and a half splitting my time between the garden and my craft room.... can't wait! Crafty Catz - Use a digi Stamp. Creative Card Crew - Spring. 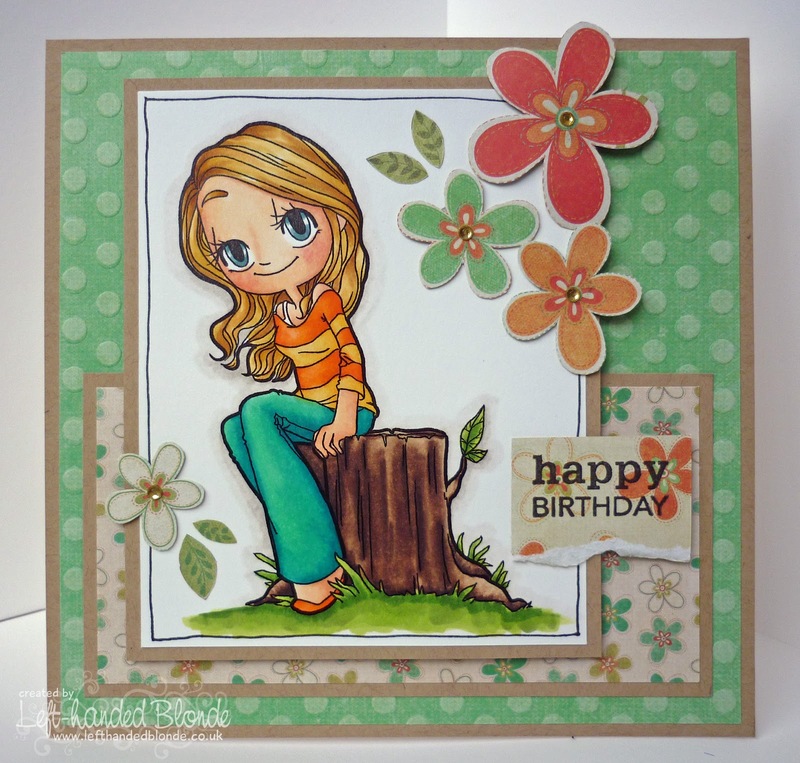 Stamp, Scrap & Doodle - Spring. Ooh I love this image! Gorgeous colours and papers too! I'm glad you're enjoying you're new garden! This is gorgeous Stacey, love it. Gorgeous colours and layout sweetie.Thank you for joining us at Creative Card Crew and good luck. Super cute card, love the coloring on it. Thanks for joining us at SSDS. Good Luck!